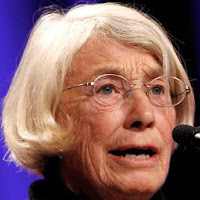 Mary Oliver, the former Margaret Banister Writer-in-Residence at Sweet Briar College in Virginia, passed away on January 17. She was 83 years old. Oliver taught at Sweet Briar College from 1991 to 1995. While there, she received the National Book Award for New and Selected Poems (Beacon Press, 1992). Additionally, her poetry workshops at the school led to her completing “A Poetry Handbook,” in 1994. She was instrumental in expanding Sweet Briar’s creative writing program by urging the dean to hire a director and offer two workshops per week instead of one. Throughout her career, Oliver published many poetry collections, including No Voyage (Houghton Mifflin, 1965), The River Styx, Ohio (Harcourt, 1972), and the Pulitzer Prize winning American Primitive (Little Brown, 1984). She also wrote Rules for the Dance: A Handbook for Writing and Reading Metrical Verse (Mariner Books, 1988), and Long Life: Essays and Other Writings (Da Capo Press, 2004). After leaving home as a teenager, Oliver studied at Ohio State University and Vassar College, but never completed a degree.